At first, Your Inner Fish sounds like the title of a “motivational” book – perhaps one that encourages readers to reach a zen-like state by emulating the placidity of our piscine betters. (“The Monk Who Sold His Sole and Discovered His Inner Monkfish”?) But Neil Shubin’s book, subtitled “The Amazing Discovery of our 375-Million-Year-Old Ancestor” is more stimulating and informative than that; it’s the story of one of the most exciting finds in paleontology over the last decade, and what it revealed about an important transitional period in the history of life on earth. 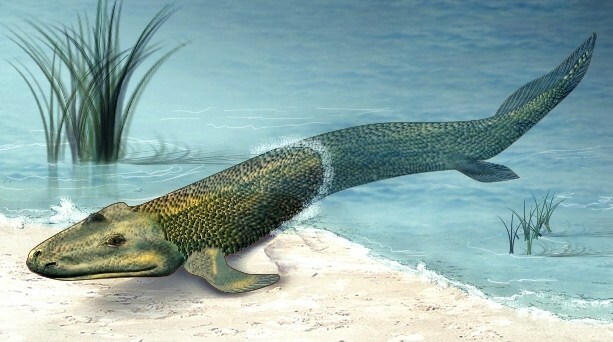 Shubin, an expert in evolutionary history, was part of a team that discovered a crucial fossil fish (subsequently given the name “Tiktaalik”) in the vastness of the Arctic, during an expedition that could be compared to searching for a needle in a haystack as big as a village. To the delight of the scientists, Tiktaalik proved to be a truly rare species, one of the first creatures of its kind to attempt the move from water to land – and this was reflected in its body structure, which included a nascent shoulder, an elbow and a wrist that could jointly be used to perform the equivalent of “push-ups”. Here, then, was a water-dweller whose fins were in the process of being transformed into limbs that would help it live in a different environment. Later studies of the fossil would aid in the understanding of how arms, legs and wings come to be formed in modern creatures, including humans. Anyone remotely interested in the wonders of evolution – and in particular, the distant cousinship between human beings and other creatures (not just simians) – should make a dash for this lucidly written book. 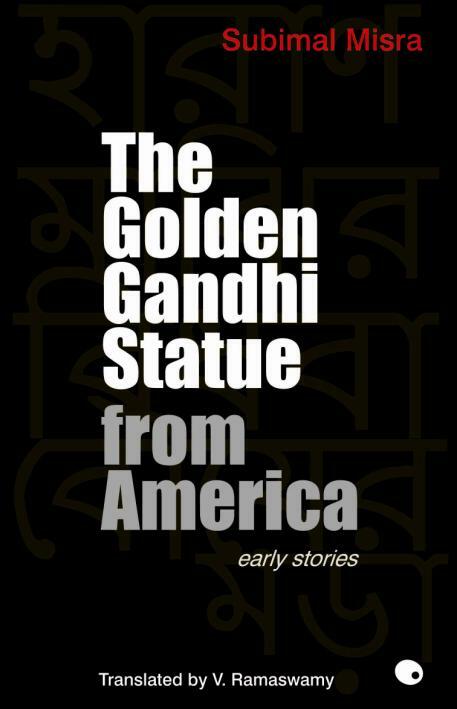 The Golden Gandhi Statue from America, an English translation of short stories by the anti-establishment Bengali writer Subimal Misra, comes accompanied by daunting publicity. Blurbs by Amit Chaudhuri and Ruchir Joshi tell us that Misra is “one of the unsung heroes of contemporary Indian fiction” and a “path-breaking modernist pushing the boundaries of form and language”. Then there’s the book’s lengthy “P.S.” section – a literary equivalent of DVD Extras – where Misra discusses himself, explaining that his writing “has the capability to challenge world literature”, that he “feels humiliated to be in the line of litterateurs like Rabindranath Tagore”, and that he tries to bring Eisenstein’s montage technique of cinema to his writing. His ideal writer, he says, "is only Subimal Misra", though he does also like to read Joyce, Kafka, Proust and de Sade. And oh yes, his favourite book is Finnegans Wake. Who would have guessed it? If you can bring yourself to read the actual stories after encountering all this bombast, there is much here of interest. The translator, V Ramaswamy, has done a good job of capturing Misra’s fragmented, abstract prose, which couldn’t have been an easy task. Despite Misra’s anti-narrative claims, there is a narrative arc of sorts in many of these tales, such as “Times, Bad Times”, about an anti-social drifter contemplating going to the wedding of a former girlfriend. Other, viscerally chilling pieces include “Fairy Girl” (in which four men dismember the corpse of a woman whose “fairy-like body had given them pleasure so many times” when she was alive) and “The Money Tree” (a dead donkey becomes fodder for people at a south Calcutta traffic crossing). A few years ago the experimental psychologists Daniel Simons and Christopher Chabris broke new ground in demonstrating how limited our perceptions can be - and the phenomenon of inattentional blindness - with their “Gorillas in our Midst” experiment. The experiment showed that a surprisingly large number of people watching a video of students playing basketball had failed to notice a man dressed in a gorilla suit, who even faced the camera and thumped his chest for a few seconds. The attention of the viewers was elsewhere – they had been asked to count the number of ball passes made in the video – but the results were still surprising, as were the reactions when they realised what they had missed. Now Chabris and Simons have a book, The Invisible Gorilla, which discuses the repercussions of the experiment, placing it in the context of real-life incidents such as the case of the policeman who failed to see his colleagues beating up an innocent man right in front of his eyes (he was chasing a criminal at the time). The central thesis is that most people don’t understand everyday illusions such as “the illusion of attention” – which leads us to believe, for example, that we can drive efficiently while talking on a cell-phone. Or that an experienced radiologist examining an X-Ray is unlikely to miss something obvious (such as a wire accidentally left inside a patient’s body) when he might be looking for something else. 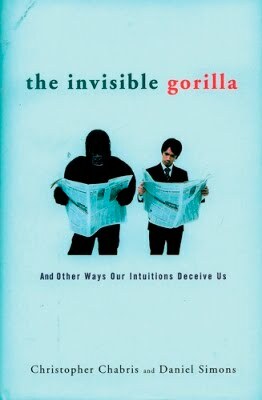 The Invisible Gorilla is an entertaining work, but I wouldn’t be surprised if it stirs controversy for the authors’ casual dismissal of a Pulitzer Prize-winning piece of journalism: Gene Weingarten’s 2008 feature about the famous violinist Joshua Bell playing music in a Washington subway and being scarcely noticed by the people nearby. The conclusion of Weingarten’s piece centred on the lack of appreciation for beauty and art in the modern world, but The Invisible Gorilla offers a simpler explanation: the conditions of the experiment – rush hour on a weekday morning, commuters focused on getting to work – ensured that no one would have mental space for Bell’s performance. “This stunt provides no evidence for a lack of aesthetic appreciation,” say Simons and Chabris, who even go on to suggest that the Pulitzer Prize committee were duped. I sense an intellectual brawl in the works. The Pulitzer Prize people may well have been duped, but not for the reasons the authors seem to suggest. The central issue in this story was summarized in a line from a poem by W.H. Davies: "What is this life, if, full of care / We have no time to stand and stare?" I have not yet read this book, and am trusting your summary of it. Based on your summary, though, I wonder if the authors read the original story, or were merely making assumptions from the many incomplete internet descriptions of it? If they did read it, and deliberately misinterpreted it for the sake of their book, tsk tsk. Oddly enough, it sounds as though interpreting the story correctly would have SUPPORTED their point. Gene: just in case that really is you (one tends to be sceptical given the increasingly creative nature of Internet trolling these days! ), this is a real pleasure. I loved your "Fatal Distraction" feature - it's one of the best, most challenging pieces of long-form journalism I've read. Point taken about the Bell piece. I must confess that I read it hurriedly when it first appeared, and I was more interested in the actual experiment - and your description of it - than in the conclusion. I don't have the Simons-Chabris book with me at the moment, but as soon as I can I'll quote more from the relevant passages. Nice bit of irony in Gene Weingarten's comment (if he is the one who wrote it). For what it's worth, we did read the article quite carefully. It was a beautifully written piece, and a really clever idea. For what it's worth, the discussion in our book was focused on the sorts of conclusions that can be drawn from the study and how the result might be interpreted in light of the scientific evidence for inattentional blindness. Gene, if that is indeed you, a pleasure. The Great Zucchini and The Hardy Boys, the final chapter, are two of my favourite narratives. I agree with your point. The story expressly raises that question and then settles for, thankfully, the better alternative. Jai, have been a long-time reader of your blog, and like your writing, though more on cinema than books. I guess, when talking about books, you can kind digress too much from the book at hand to other so called 'larger' questions. One exception was your review of Sea of Poppies, which maybe because of its prose, focused more on the story and the writing style. 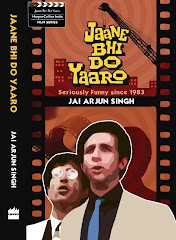 All the best for your JBDY book, hope to pick up a copy soon. one-handed backhand: just reread the Hardy Boys piece - brilliant. (Here's the link.) Had first read it years ago but didn't remember that it was by Weingarten. Glad you liked it. It's a touching tale, and an amazingly well constructed story. As a kid, I remember studying the map of the USA closely just to find the fictional Bayport, the place where the Hardys lived, only to never find it. Love the ending of the story. Very interesting posst with three very interesting books. A note on the invisible gorillas - In the video, it seems that we are deliberately asked to count the passes of the white team, so that the Gorilla suit guy is camoflouged by the black team and appears to be a member of the black team. Also the during the thumping scene, he is partially guarded by a white team dude. Still a very interesting take on what we percieve to be reality. Also, nobody likes your bloody violin music. ACH. I’m a super-dooper-jumbo-loser, yet, I’m quite the savvy, sardonic satire with avant-garde, cooDAYtah, bay-bee; I’m a post-mortem cynic who’s seen Heaven Above and I’m verrry adept at hired-gun-diplomacy; I’m the vehicle of wretched, rowdy, and anti-establishmentarian truth. Pleased to make your acquaintance, girl. Won’t you join me Upstairs, Miss Gorgeous Babe, where I shall kiss your adorable feet which brought U.S. here? For an endless plethora of wonderFULL volumes of procrastination and love in the Great Beyond? PS NOW? I’m on big, bad Janet’s list of bloody terrorists even though I’m a head-injured-wetard. Rise above, America. Think summore past the impotent world government; don’t do the suicidal, whorizontal reality; don’t get played like a HAARP: control, conform, walking ‘the Wall’ to our demise. STOP BEING LEMMINGS!